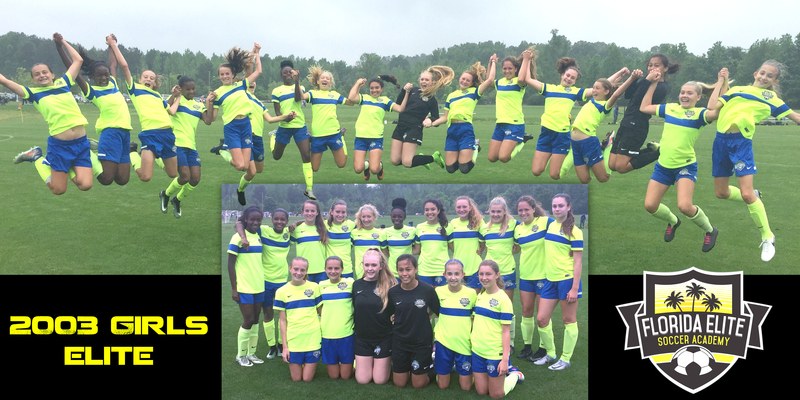 The 2003 Elite Girls team was formed in August 2016 because of the switch to birth year. Given the fantastic season they’ve had, the short time together apparently hasn’t been a factor at all. The group of girls, coached by Craig Harrington, is the current champions in the Florida State League, as well as winning the SRPL East region premier division. At this writing, regionals are on the horizon in North Carolina and then the group will transition into either playing in the ENCL or NPL 2017-18.